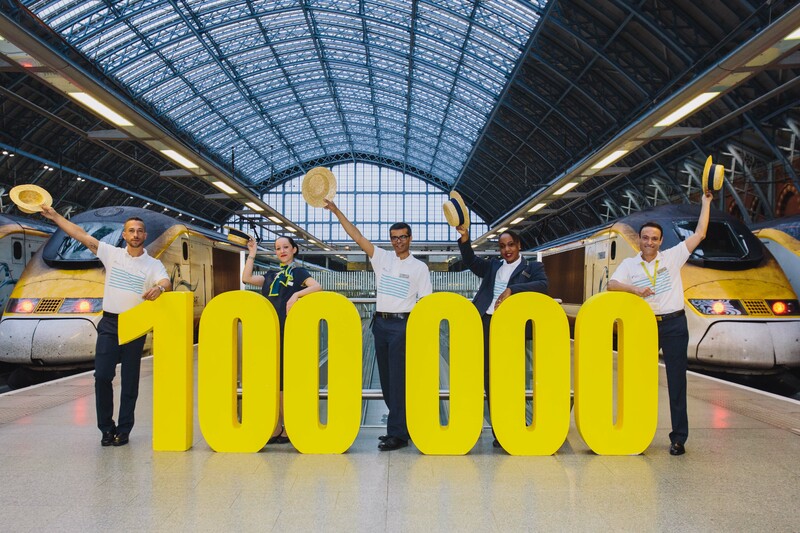 Eurostar, the high-speed rail service linking the UK and mainland Europe, announces the highest ever number of passengers transported in one month with 1 million customers having travelled in July 2015. This milestone marks a year-on-year increase of 5.1% in passengers compared with the same period last year (2015: 1,017m, 2014: 968,000). With the introduction of the new direct service from London to the South of France, and ticket sales for core destinations at an all-time high, Eurostar sales are going from strength to strength as travellers choose the train over the plane. Eurostar is set for a cracking August bank holiday weekend as over 148,000 passengers are expected to travel with the high-speed rail operator. Friday 28th August is the busiest day for departures from the UK, with over 38,000 people travelling on this day alone, looking to make the most of long weekend. Only four months after Eurostar’s new all year round direct service from London to the South of France embarked on its inaugural journey on 1 May, the high-speed rail operator has sold over 100,000 tickets to date. Eurostar has seen a strong response for the route, which runs between London and Lyon, Avignon and Marseille, as passengers are drawn by the wide-ranging gastronomic and cultural attractions of the region. The new service, which offers UK travellers a seamless, leisurely journey from the heart of London to the Mediterranean, has revolutionised cross-channel travel offering a more convenient alternative to flying. As summer is coming to an end, many customers are now booking the service to Lyon for their winter ski trips. With its proximity to the French Alps, the gastronomic capital of France provides a convenient gateway with easy road and rail connections to a range of popular ski resorts. Eurostar is offering Brits the chance to head to Europe for less with a record number of destinations on sale. From a seaside escape to the South of France to a festive Christmas Market in Bruges, holidaymakers are spoilt for choice. The thirteen day ticket sale will run from 27 August – 8 September and travel is valid from late September 2015. Single fares in Standard from only £40 to Lyon and £45 to Avignon or Marseille direct from London St Pancras or Ashford International, for travel from 25 September – 25 April 2016. Standard Premier fares from just £85 one way to Lyon and £95 one way to Avignon and Marseille1. With more spacious surroundings and a light meal served at your seat, passengers can enjoy a little bit of luxury on their high-speed rail journey across the French countryside. 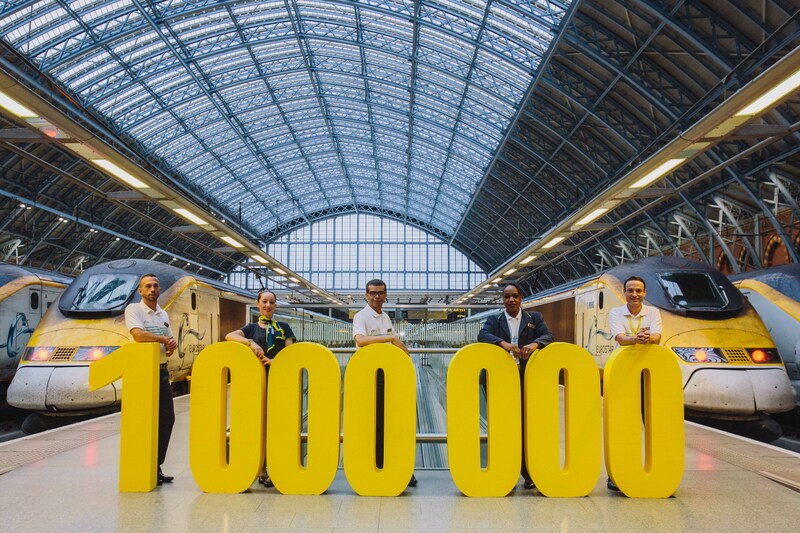 140,000 seats available at £32 one way for standard travel from London, Ashford or Ebbsfleet to Paris, Brussels, Lille or Calais for travel from 22 September – 16 December 2015. Travel to any Belgian station including Bruges, Ghent and Antwerp at £35 one way in Standard class or £87 one way in Standard Premier2. 1This offer is for a promotional return fare of £40 one way, based on a £80 return in Standard and £85 one way based on a £170 return in Standard Premier on Eurostar direct services from London St Pancras International and Ashford International to Lyon Part-Dieu, and £45 one way based on a £90 return in Standard and a £95 one way based on a £190 return in Standard Premier to Avignon TGV and Marseille Saint-Charles. 2This offer is for a promotional return fare of £32 one way, based on a £64 return in Standard and £79 one way, based on a £158 return in Standard Premier on Eurostar direct services from London St Pancras International, Ebbsfleet International or Ashford International to Paris Gare du Nord, Lille-Europe, Calais-Fréthun and Brussels-Midi. The offer is subject to availability and there may be limited availability for travel on Fridays, Saturdays and Sundays. The promotional fare will be available as of 27.08.2015.